At Settlers bank we’ve been celebrating the entrepreneurial adventure since 2007. That year Tom Spitz and David Fink rolled up their sleeves and undertook opening a bank at what turned out to be the brink of the Great Recession. These highly experienced bankers stayed the course, took their clean balance sheet and helped businesses and families at a time when few banks were able or willing to lend. People needed fast decisions and simple solutions. No nonsense banking. We built our brand around these ideals. Fast forward to today. Our clients tell us that what we did for them then is what they had always wanted from their bankers. Fast answers and simple solutions. Our clients value our local decision making, our local board of directors, and our commitment to turn questions around in days instead of weeks. 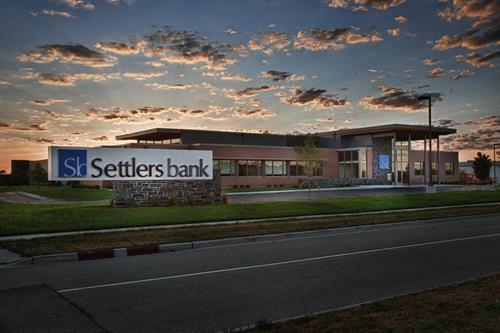 At Settlers bank, we understand that no one wants to be required to visit their bank, but they do want easy access to their banker. For this reason we make sure to offer the most up-to-date mobile and online banking, bill pay, and remote deposit capabilities to give our clients the freedom to bank from their homes or offices while doing what they do best. Clients are always welcome to visit us, but mostly we plan to come to you… electronically or in-person. Now that you know our history, please be a part of our future…capabilities keep our clients in their homes or offices doing what they do best. Clients are always welcome to visit us, but mostly we plan to come to you…electronically or in-person.